We are currently in the midst of a massive extinction crisis, with species all around the world disappearing at an unprecedented rate. They are calling it the sixth mass extinction, with at least 30-50% of all species at risk of going extinct by mid-century. One individual who is helping to shine a light on this pressing issue is wildlife photographer Tim Flach. In his book, Endangered, Tim documented some of the amazing animals across the world that are currently threatened. 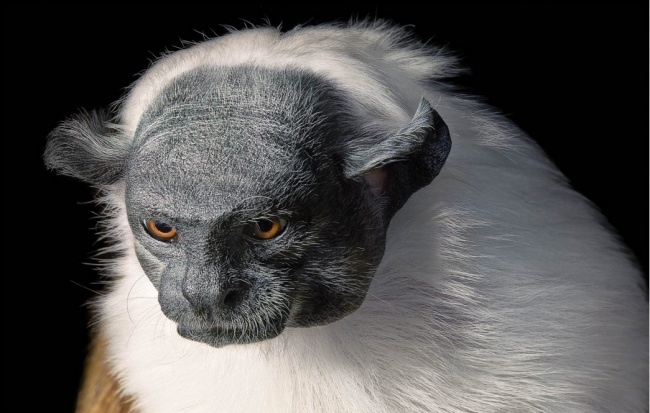 We’ve gathered 50 of the best ones for our slideshow, but the whole collection can be found on Tim Flach’s website. Once you see the images, you’ll understand how truly important this is. The time to start fighting for these species is now. Losing these incredible animals would be a giant tragedy. 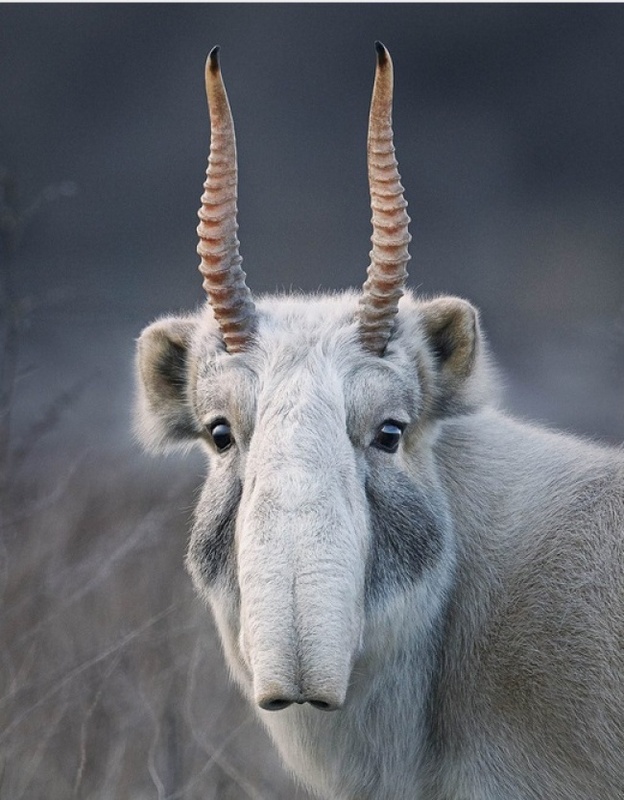 The saiga is a type of critically endangered antelope that lives in the Eurasian steppe zone from Kazakhstan to Mongolia. It is best known for its weird shaped head and snout. One major cause of their population decline is poaching. Their horns are highly desired. Also known as “scaly anteaters”, the white-bellied pangolin can be found in lowland tropical forests in West and Central Africa. 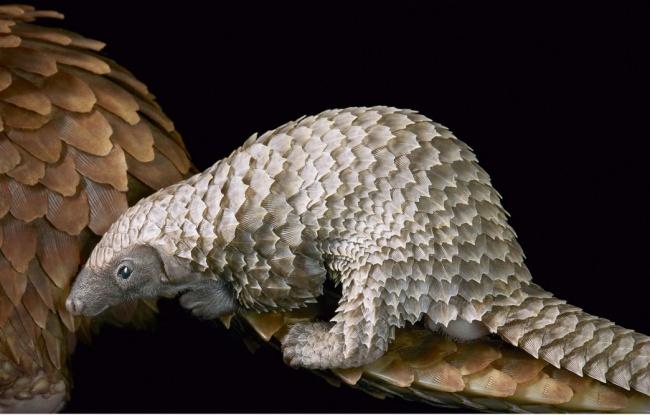 Between 1993 and 2008, pangolins underwent a nearly 20-25% population decline, largely due to hunting. Pangolin meat is a popular bushmeat sold in African markets. The Philippine eagle is sometimes called the monkey-eating eagle because of reports from the past that said the bird exclusively preyed on monkeys. Studies now show that the eagle actually consumes other animals too like snakes, lizards, and even other birds. 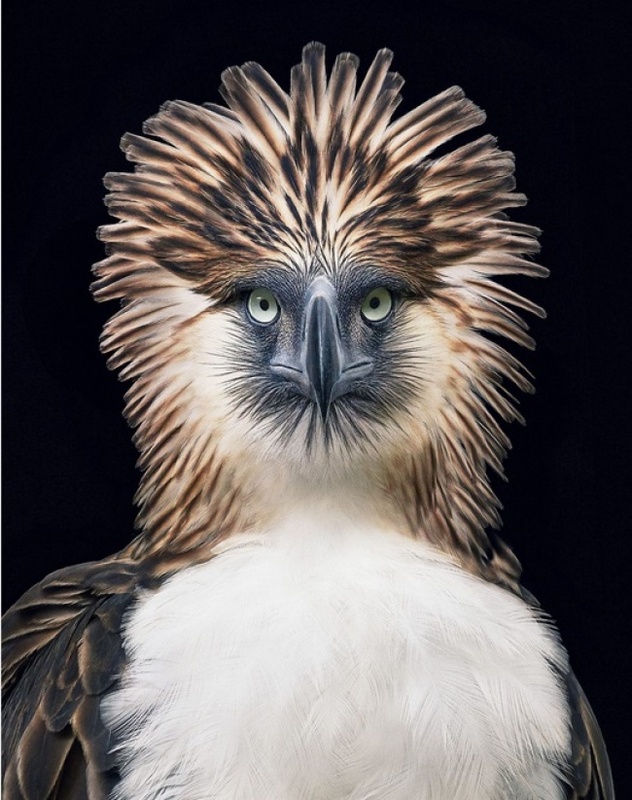 Because of deforestation, the Philippine eagle has become an endangered species. The photo on the left is a Crowned Sifaka. They are native to Western Madagascar where habitat destruction and capture for the illegal pet trade has caused them to become endangered. 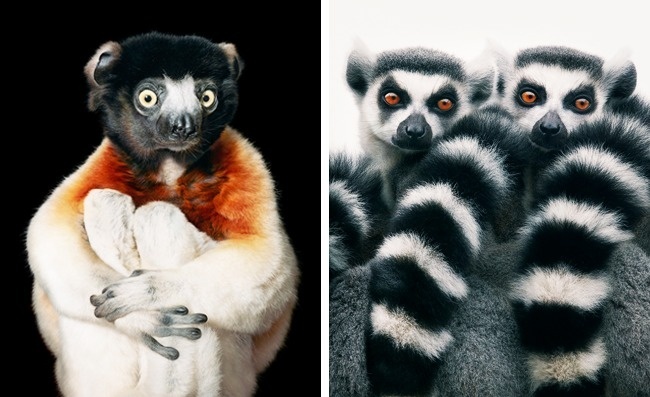 On the right is a family of ring-tailed lemurs. They are also critically endangered. The beluga is a species of fish in the sturgeon family. It is the second biggest species of bony fish living in the ocean. 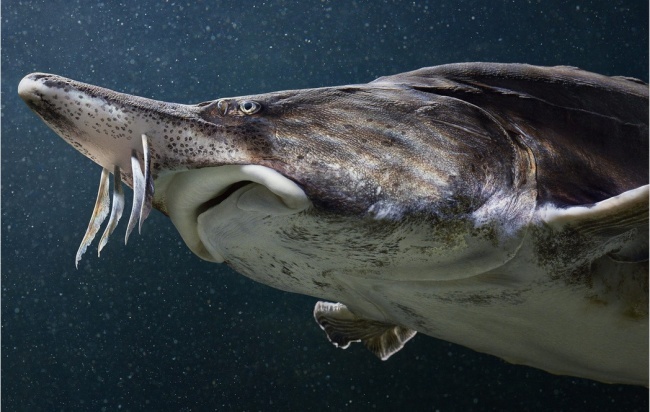 In recent years, the beluga sturgeon population has been seriously threatened by poaching and overfishing. 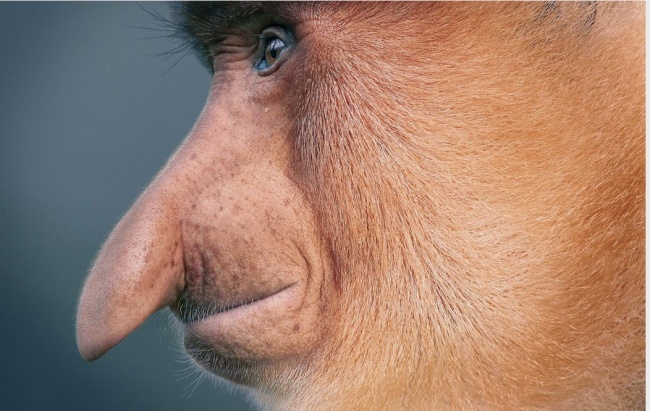 The proboscis monkey, also known as the long-nosed monkey is an arboreal Old World monkey species endemic to the island of Borneo. Their population has decreased by over 50% in the last 40 years due to habitat loss. Loggers on the island keep cutting down all the trees they love to live in. 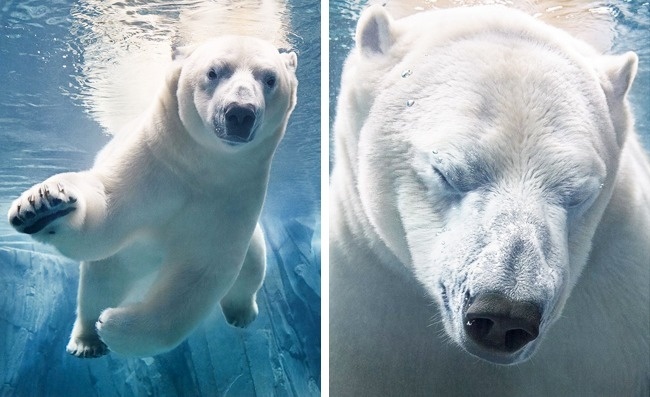 The king of the bears, the polar bear primarily lives in the Arctic Circle. Their hyper-carnivorous diet mainly consists of seals and fish. They are now considered a threatened species due to the melting of the Arctic sea which is quickly reducing their habitat. 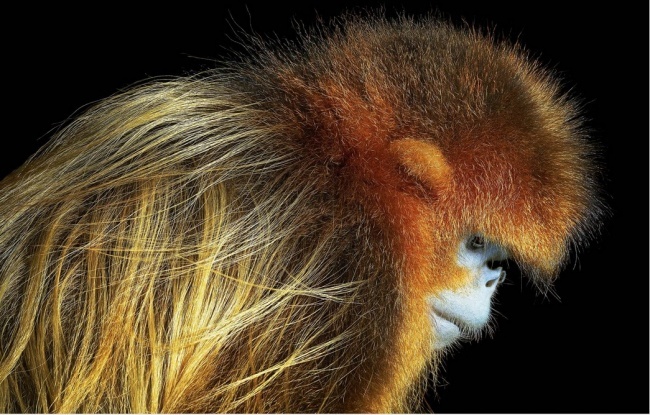 The golden snub-nosed monkey is an Old World monkey that lives in the mountainous forest regions of Southwestern China. Their golden hair is stunning and often shines in the sun. This type of monkey likes eating lichens which grow mostly on dead trees. Unfortunately, dead trees in China are increasingly being harvested, causing the monkey’s habitats to decrease in livability. 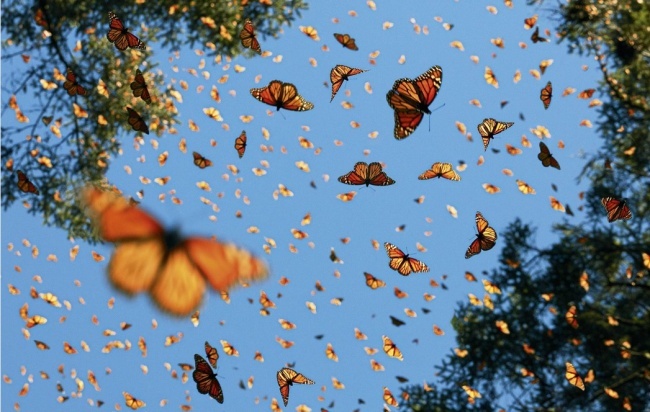 The monarch butterfly is one of the most beautiful and recognizable types of butterfly. A proposal to classify them as an endangered species is currently under review. Nearly one billion monarchs have vanished from their overwintering sites since 1990, mainly due to herbicides used by homeowners and farmers on the milkweed plant, one of the monarchs preferred food sources. 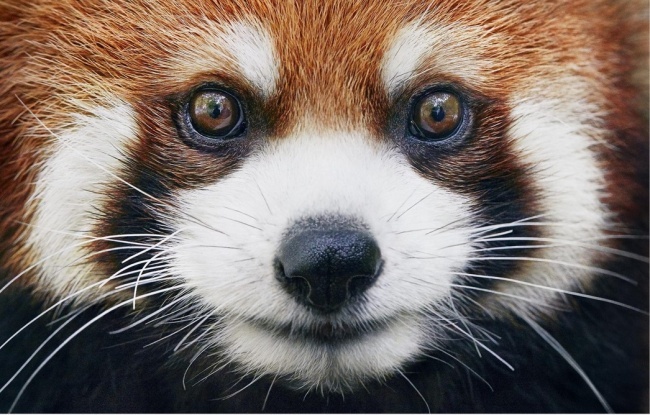 Red Pandas are a small variety of pandas about the size of a domestic cat. They have long bushy tails, and in the past were actually classified as a type of raccoon. They live in the Eastern Himalayas where only about 10,000 of the species remain. Habitat loss and inbreeding depression are among the major causes of their current low numbers. 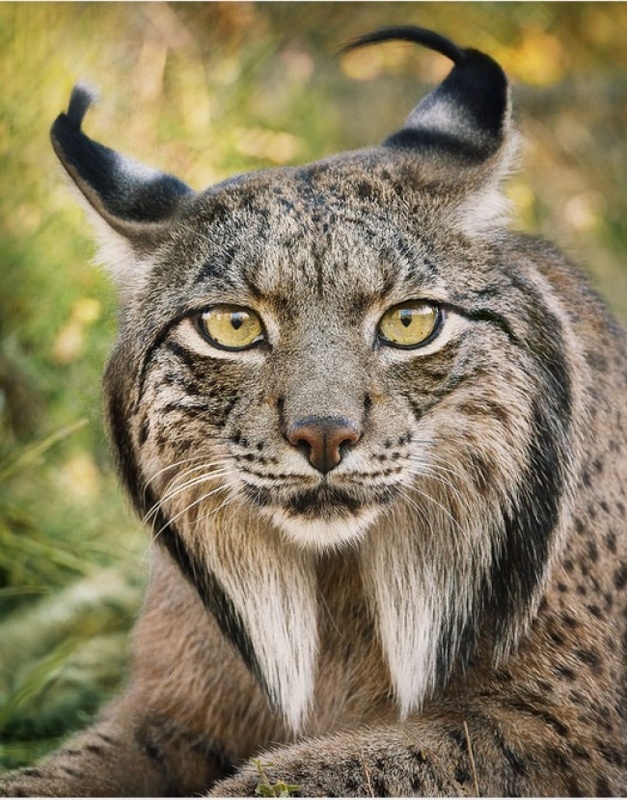 This wild cat species lives in Southwestern Europe on the Iberian Peninsula, hence the name, the Iberian Lynx. At one point, the Iberian Lynx population was reduced down to about 100 individuals, but conservation efforts have been helping them to make a comeback. In 2012, it was documented that there are now about 300 some living in the Andalusia region. 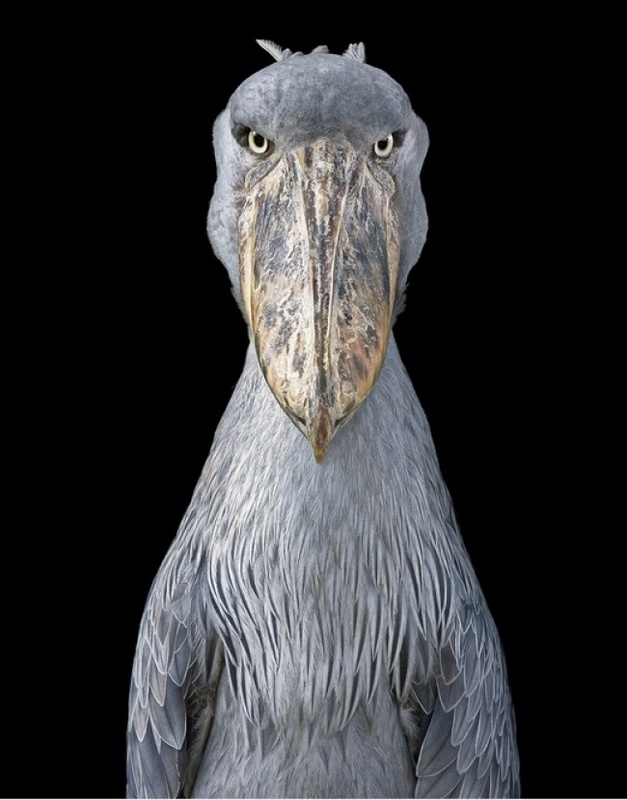 The shoebill is sometimes called the whalehead or shoe-billed stork because of its really unique looking beak. Its main habitat is large swamps in East Africa from Zambia to Sudan. The current population is estimated to be between 5000 and 8000. Habitat loss, disturbance, and hunting all threaten their existence. 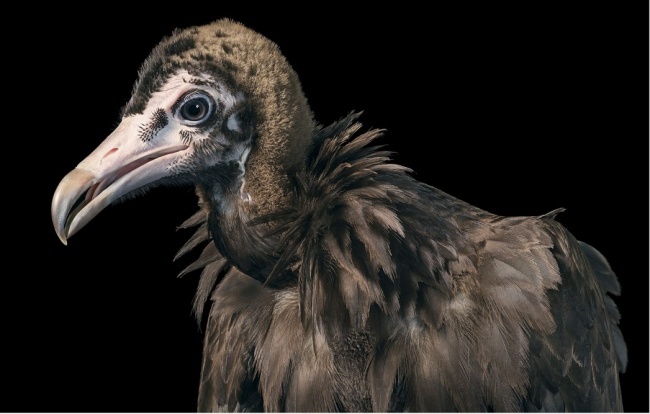 The hooded vulture is native to sub-Saharan Africa and survives primarily by scavenging animal carcasses. Poisoning, hunting, and habitat loss are three of the major issues that this species faces. While they are still relatively common in some areas, many countries like Senegal have seen a nearly 85% population reduction over the previous 50 years. The pied tamarin is a primate species that lives in the Brazilian Amazon Rainforest. Unfortunately, habitat loss has caused them to become endangered. As urban areas continue to encroach on the rainforests, pied tamarins are also increasingly at risk of attacks from feral dogs and cats. 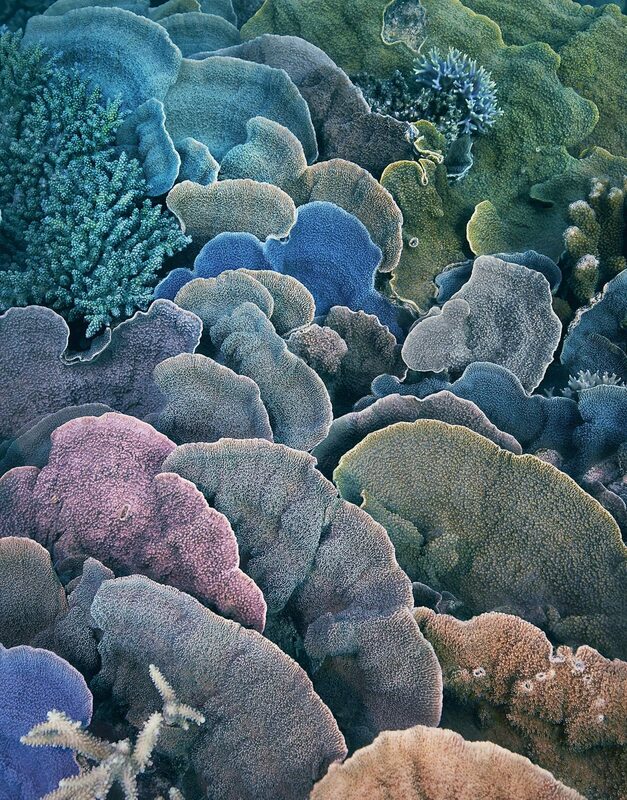 Coral is not something we normally think of as living, but in fact, all corals are actually marine invertebrates. Around the world, coral reefs are rapidly disappearing. Rising sea temperatures and ocean acidification are causing them to go extinct. 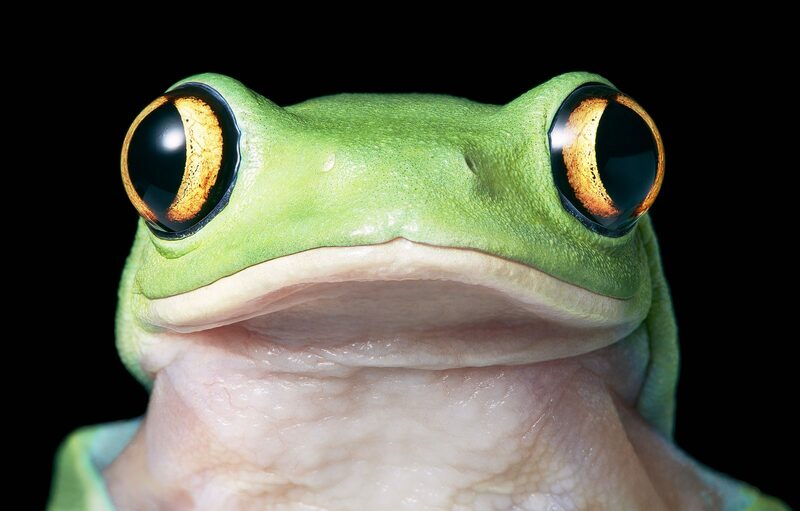 Yellow eye tree frogs are a pretty cool little type of tree frog found in Eastern Australia. There are also red-eyed and orange-eyed varieties. The yellow-eyed ones have seen their population halved since the 1990s due to climate change, the pet trade, and a damaging fungus affecting their habitats. Kaiser’s spotted newt is a colorful little salamander that can only be found in four streams in the Zagros Mountains of Iran. For this reason, it is extremely vulnerable to extinction. Many zoos have started captive breeding programs for the salamander to try and increase its numbers. 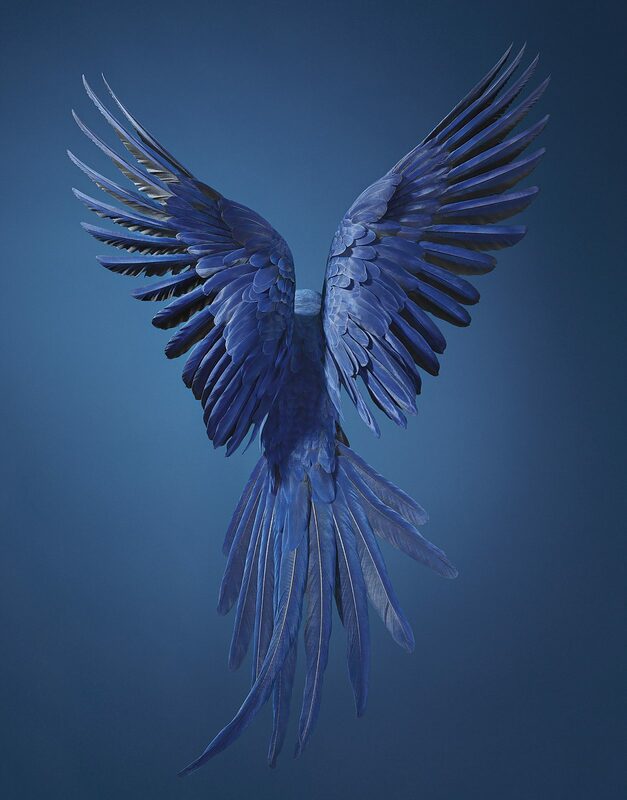 The blue hyacinth macaw is a truly stunning variety of parrot that is native to central and eastern South America. They have suffered a lot due to people trapping them and selling them off as pets. Habitat loss is also a problem. 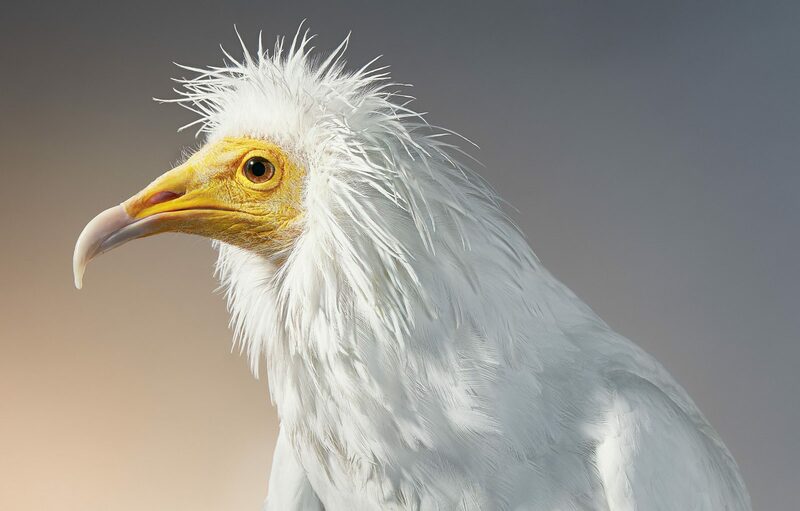 Also known as the pharaoh’s chicken or white scavenger, the Egyptian Vulture is a species that has seen reduced populations in recent years due to hunting, accidental poisoning, and collisions with power lines. Their habitat stretches from North Africa all the way to India. 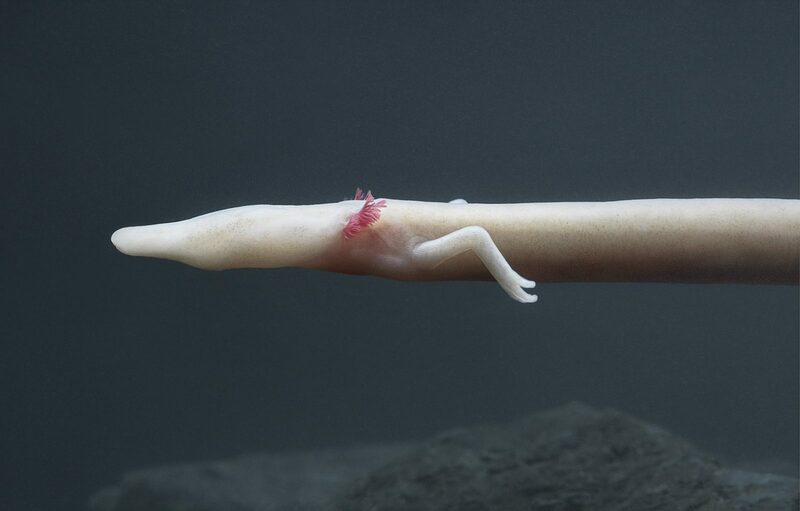 You might be wondering where this olm salamander’s eyes are. It turns out that it doesn’t have any. As an aquatic cave-dwelling species, sight has never been a big priority for the olm. It is completely blind but has a great sense of smell and hearing. 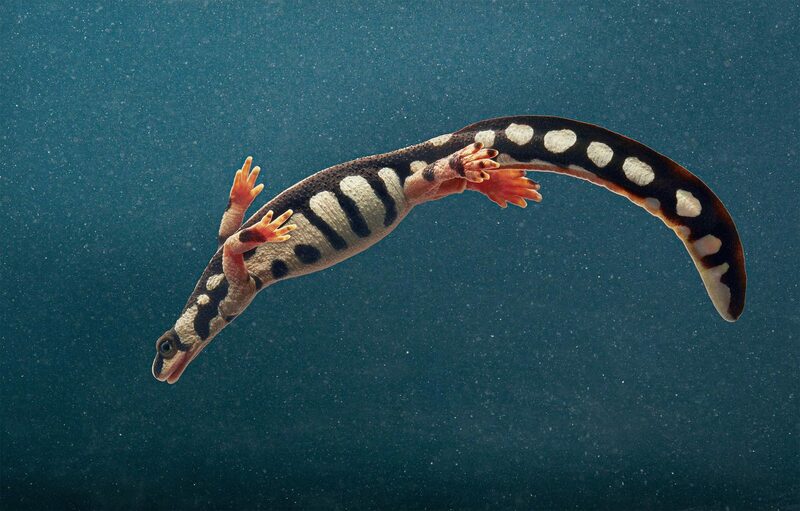 Pollution of underground water systems is causing this uniquely adapted creature to go extinct. 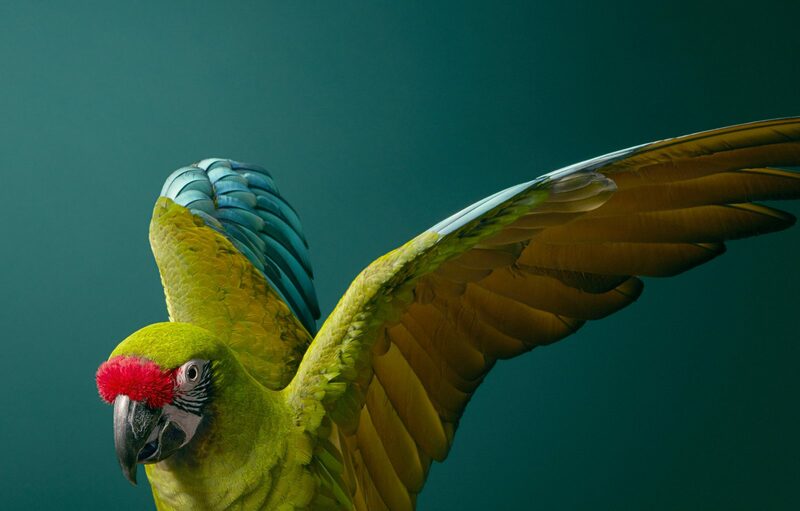 Another threatened parrot species is the military macaw. The pet trade industry has hit its population hard. Poachers trap and remove them from their forest homes in Mexico and South America and sell them off to people who want pet birds. While the hippopotamus we all know and love is not currently an endangered species, three prior hippo species that existed in the past have all disappeared. One of them went extinct within the last 1000 years. 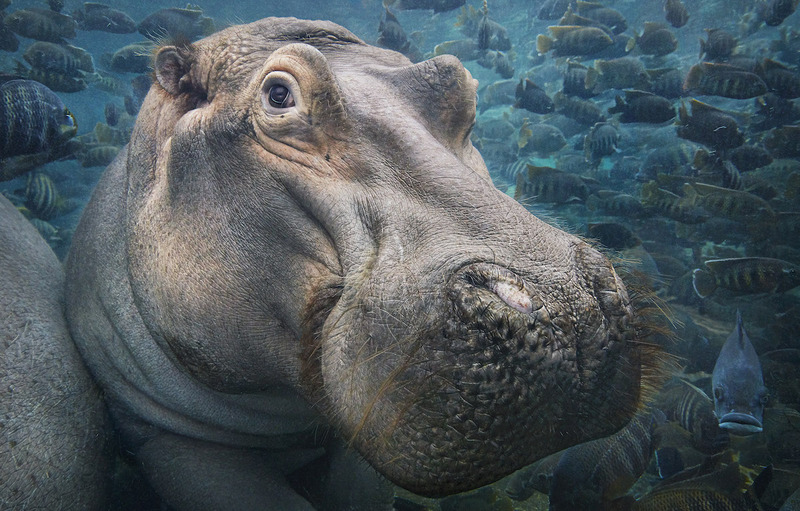 The hippo is such an amazing animal. It is definitely worth protecting, but poachers don’t think so. They have started hunting them for their ivory canine teeth. 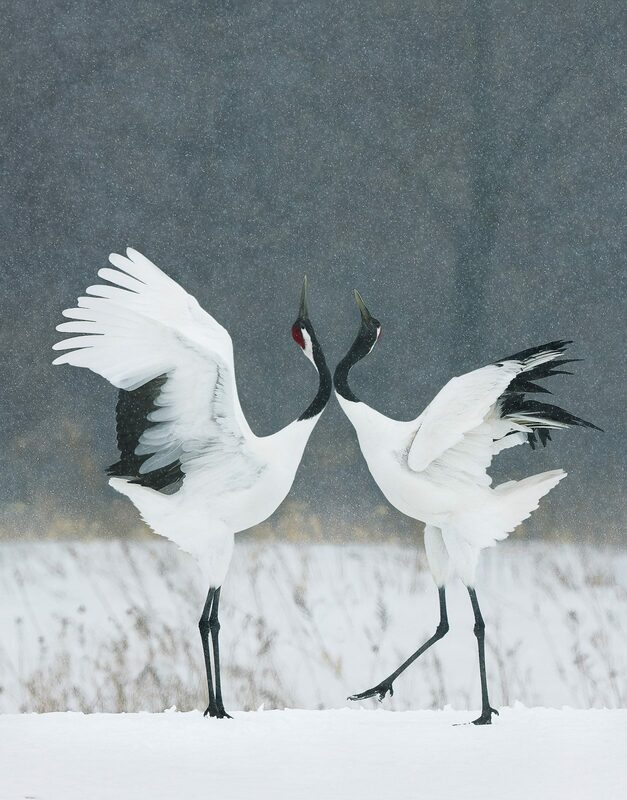 These two red-crowned cranes can be seen in the photo happily dancing away in the snow. They are one of the rarest crane species in the world and can only be found in East Asia. Countries like South Korea, China, and Japan are where the last of the red-crowned cranes live. Their nesting habitats have all but been destroyed. 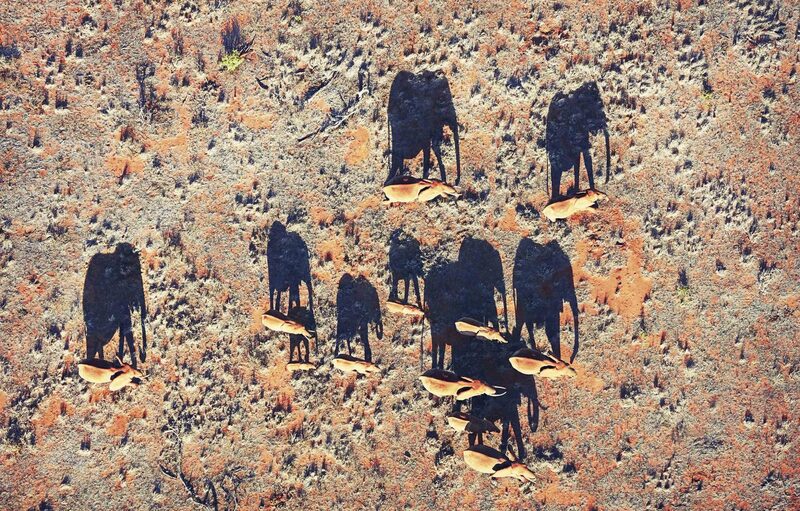 Tim Flach captured a really cool aerial shot of this herd of elephants in the Tsavo region of Kenya. The main threat to elephants is the ivory trade. Poachers kill them just to strip them of their valuable ivory tusks. The ploughshare is a critically endangered species of tortoise that can only be found in Madagascar. 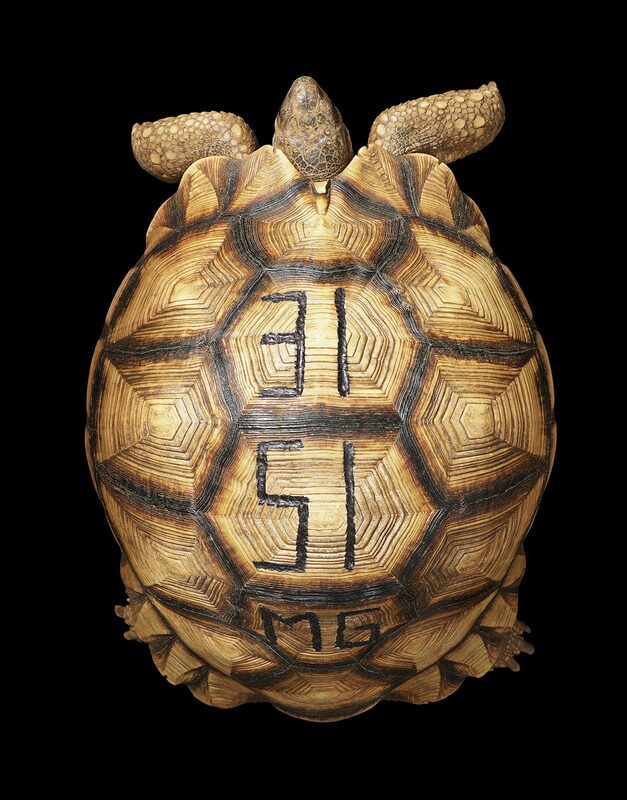 The engraving on top of the shell in the photo is the result of a last-ditch effort to save the animals. Not only does engraving the shell make them less desirable for poachers, but it also helps conservationists keep track of their population numbers. 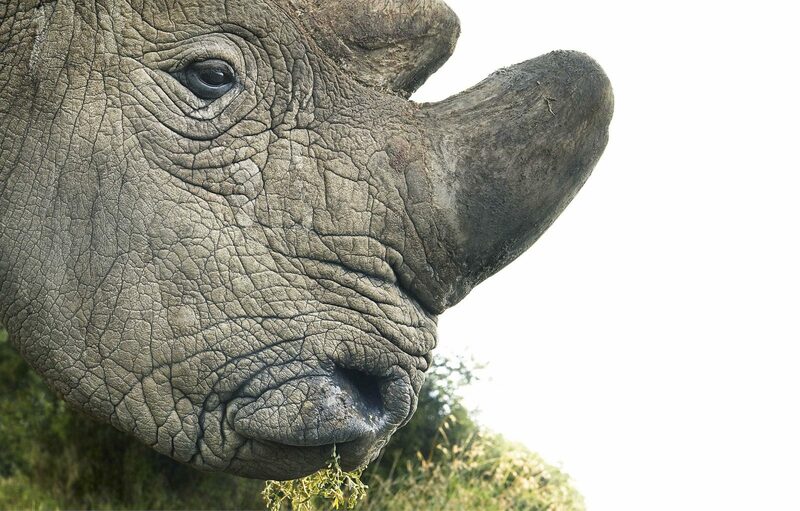 There are few types of rhinos, but the Northern White Rhinoceros is one of the most endangered. They are actually thought to be already functionally extinct. There are only two known Northern White Rhinos left. Both can be found in Kenya, and unfortunately, both of them are females. There is little hope left for this incredible species. Cheetahs can be found in North, Southern, and East Africa. It is estimated that there are only about 7,100 cheetahs left in the wild. Because they are very spread out over large areas, there is a big risk that they will eventually go extinct. 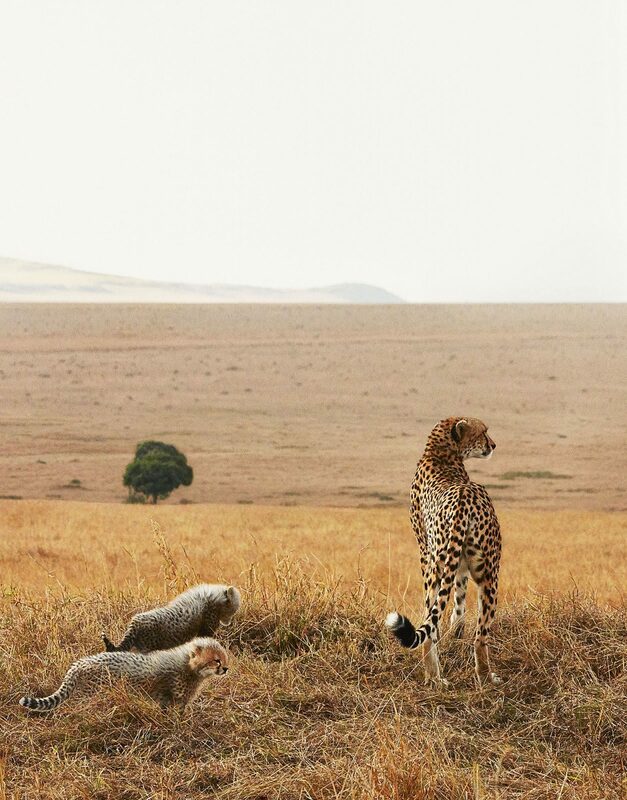 Habitat loss due to agriculture has also further isolated groups of wild cheetahs. 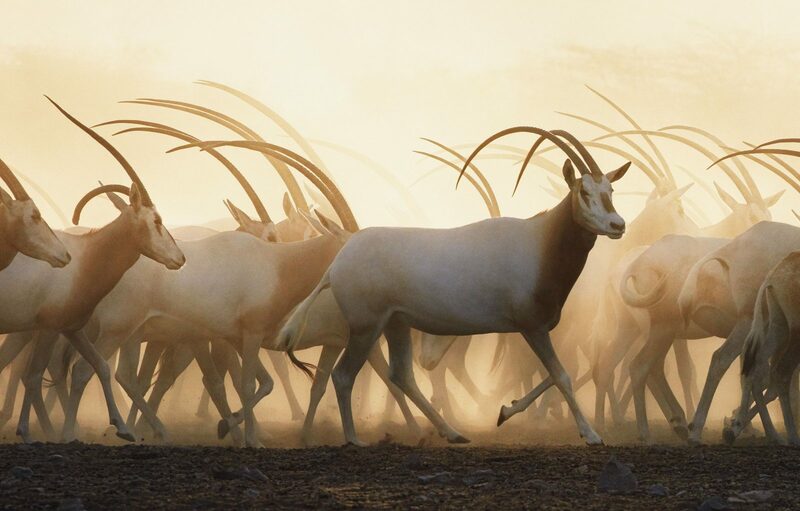 The Arabian oryx is a medium-sized type of antelope native to the steppe and desert areas of the Arabian peninsula. By the 1970s, the species was extinct in the wild. However, a few still existed in zoos. Through intensive breeding efforts, there are now about 1000 that have been reintroduced back into their natural habitat. This type of big cat primarily lives in the mountain ranges of South and Central Asia. 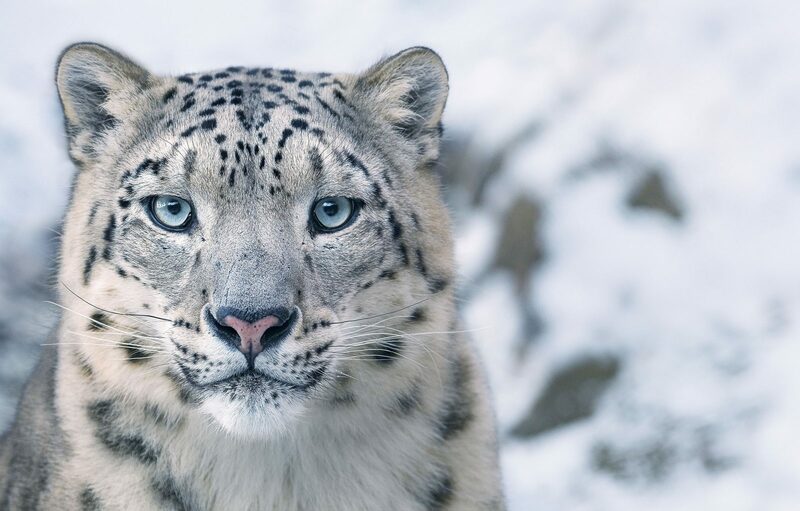 In general, snow leopards do best in cold regions above 9,800 ft (3,000 m). Poaching and habitat loss has led to population declines and caused the snow leopard to be classified as a vulnerable species. 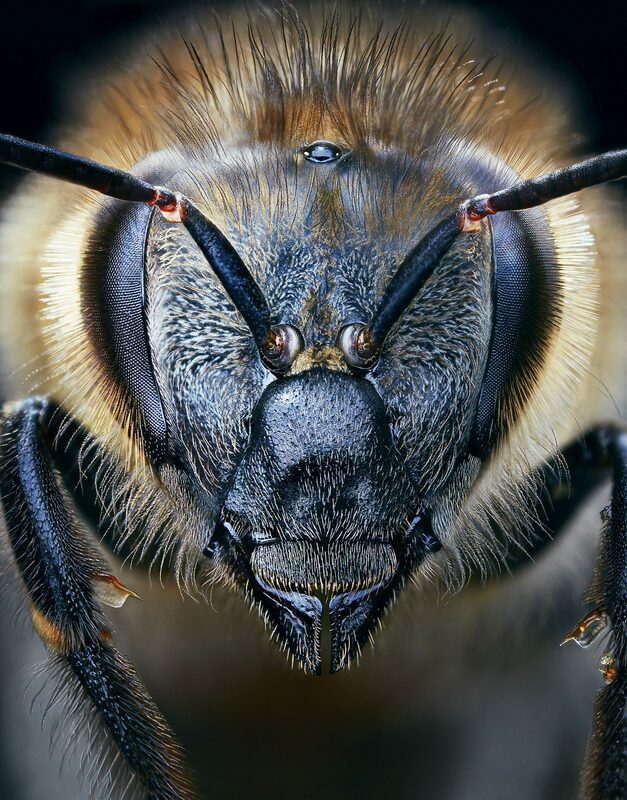 Also known as the western honey bee, this little insect is an absolutely vital part of nature due to its role in pollination. Various pests and diseases are causing their numbers to rapidly shrink. Insecticides used on farmland has also caused some colonies to die off. Another type of endangered antelope is the Scimitar Oryx. 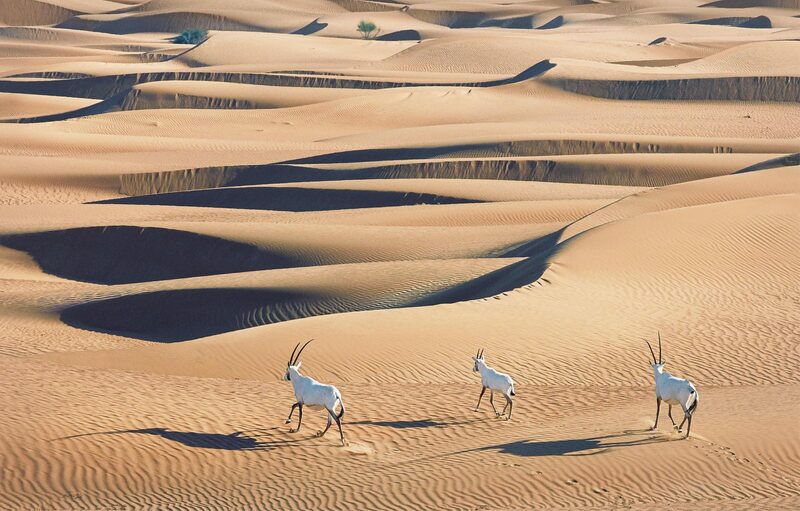 They are also known as the Sahara Oryx. They used to be widespread across all of Northern Africa but went extinct in the wild as of the year 2000. The main cause was climate change and hunting of the species for their horns. The firefly or lightning bug is one of the coolest little insects. They can be seen during the twilight hours in temperate and tropical climates all across the globe, glowing and lighting up the night. 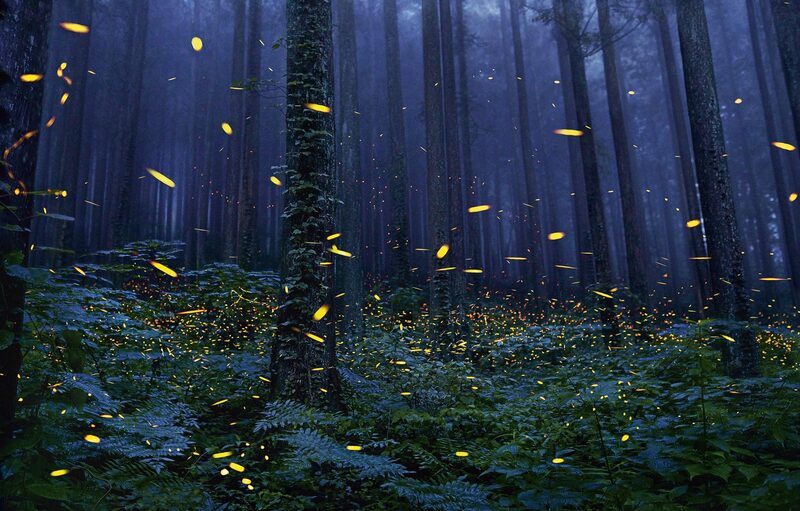 Fireflies actually rely on their own lights to find each other and reproduce. Thus, they are very sensitive to light pollution caused by humans. 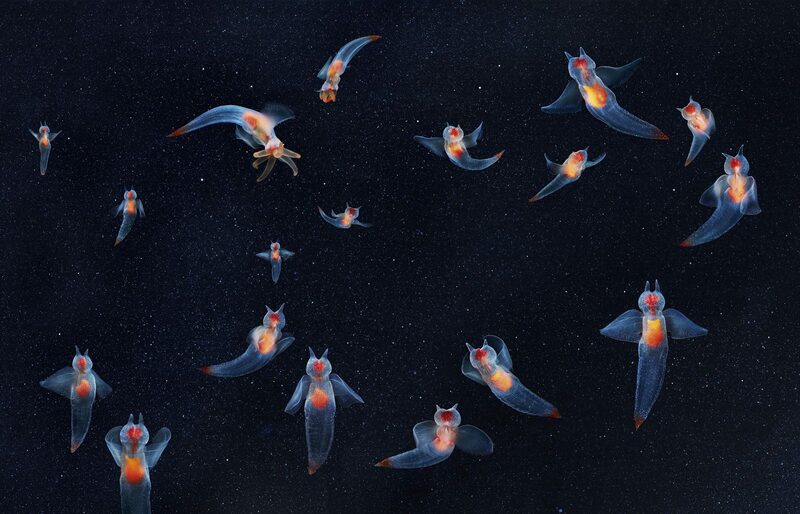 At first glance, it kind of appears as though sea angels are insects. The truth, however, is that they are actually a type of swimming sea slug. They use their wing-like fins to propel themselves around the water. Like other sea creatures, sea angels are currently threatened by ocean acidification. The partula is a tropical land snail species that prefers to live in Pacific Island nations like Tahiti. 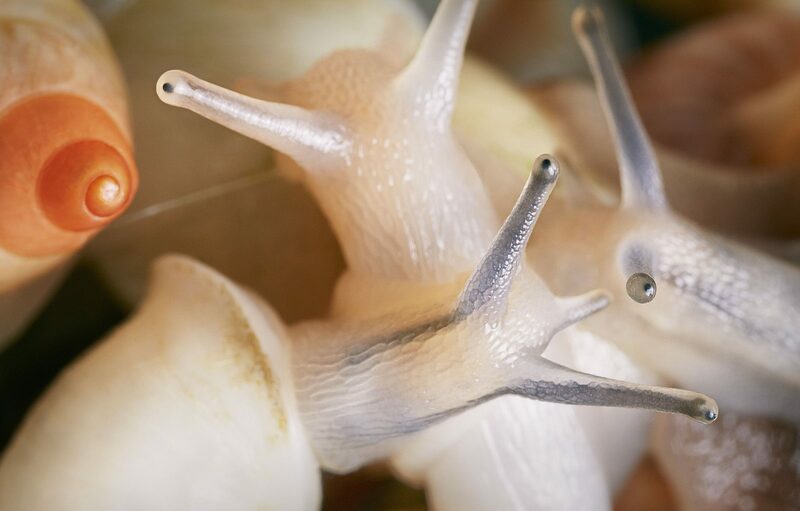 Many snails belonging to the partula species are endangered and at risk of going extinct. Other non-native varieties of snails like the Florida wolfsnail that were introduced to the region are literally eating them all. Everyone loves pandas. 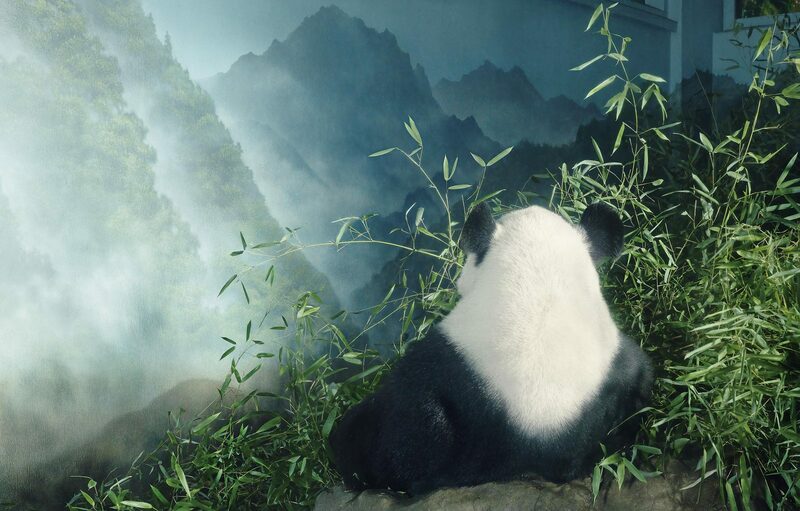 The giant panda is one of the cutest types of bear, and one of the only types that is mainly vegetarian. Although they do occasionally eat fish or other types of meat, their diet is 99% made up of bamboo. 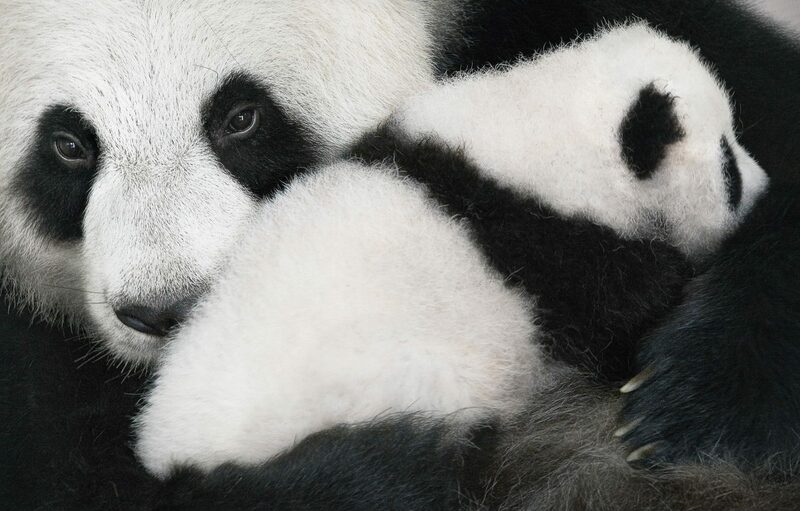 While in the past pandas were considered endangered, in 2016 their status was changed to vulnerable. 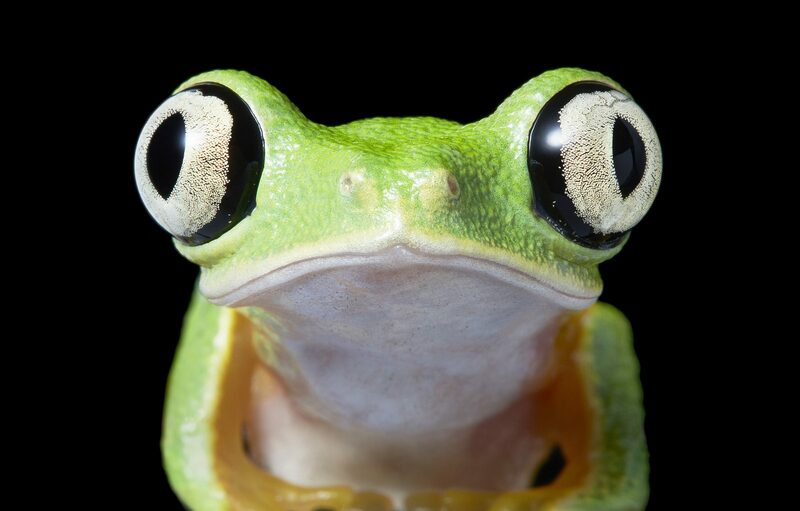 The lemur leaf frog is another type of endangered frog. They live primarily in the rainforests and jungles of Costa Rica, Panama, and Colombia. They are classified as critically endangered. A type of fungal disease called chytridiomycosis has decimated their population. The Yunnan snub-nosed monkey is a black-nosed variety of the snub-nose that is also endangered, just like its golden snub-nose relative. They are native to the Chinese province of Yunnan, hence their name. Habitat loss is the primary cause of their decline.